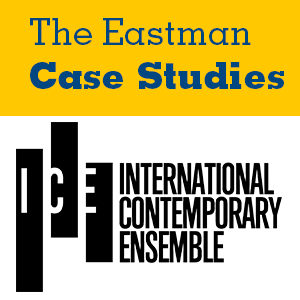 Since its founding in 2001, the International Contemporary Ensemble (ICE) has branded itself as an “artist-run collective.” Its forty-one members consist primarily of performing musicians, many of whom serve as “artist-staff” responsible for concert programming, fundraising, recording, and digital outreach. While employing ensemble musicians in administrative roles brings numerous advantages, obstacles also emerge. This case explores the benefits and drawbacks of maintaining the artist-staff model in a professional ensemble. The reader is asked to devise a set of recommendations for hiring new staff members, considering the challenges associated with employing artists and non-artists in administrative positions.